We put our tree up in stages this year. The tree came down the week before Thanksgiving. But we couldn't bring ourselves to decorate. It felt rude, and we didn't want to hurt Thanksgivings feelings. I hear Thanksgiving is kinda sensitive. So we got the tree down, just... you know... because it was getting close to time. With full intentions of decorating Thanksgiving weekend. 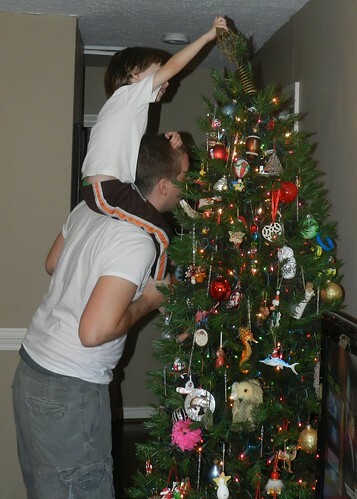 But then, we had this like, TREE in the living room. Random. So I figured Thanksgiving wouldn't mind if we just put some lights on it. WHO COULD BE AGAINST LIGHTS? So that's what we did. A week before Thanksgiving we had what I consider a Thanksgiving three. 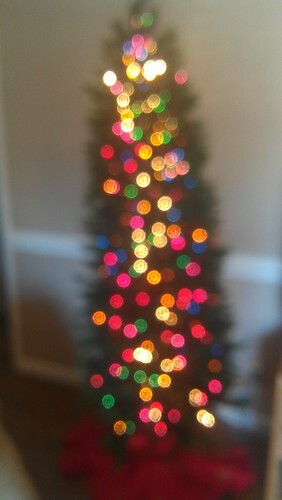 What a Thanksgiving tree looks like without my glasses on...or with an out of focus camera. 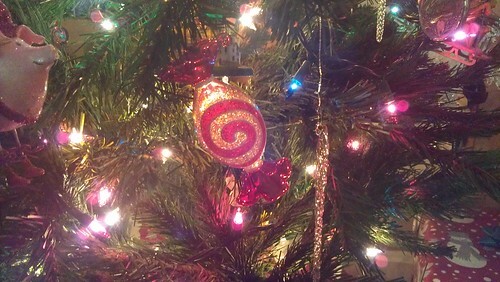 The Friday after Thanksgiving we felt it was acceptable to actually put the ornaments on it. 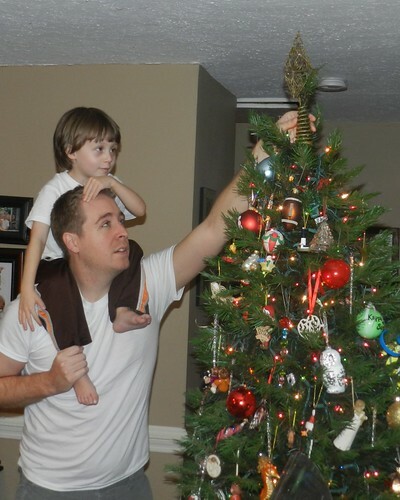 Henry picked out his own special one to add to the tree (a new yearly tradition.). I tried to talk him into robots or spaceships but this kids knows what he likes. And that is candy. So then there was nothing left to do but put the star on...but once we got it completely decorated we realized we must have left the star in the attic. And maybe normal people would run right up and get it... but it was late and we were tired and we decided instead to do it "tomorrow". And then a few more "tomorrows" pasted until it was this week. 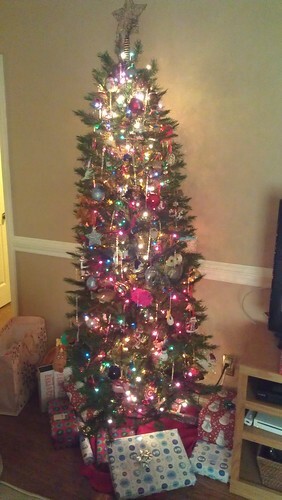 And we finally got around to getting that pesky star on so we could call the tree DONE! Looks pretty good, if I do say so myself! It only took us four weeks. Sarah, how do you keep Henry from attacking those presents?? ?